The team behind "Baraka" reunites for another journey around the world, exploring themes of birth, death and rebirth through stunning visuals and music. Images by Magidson Films, Inc.
Ron Fricke's long awaited follow up to "Baraka", his new 65mm production, titled "Samsara" is to premiere in Canada, September 11, 2011 during the Toronto International Film Festival. "Samsara" is the first film which has been filmed entirely on high resolution 65mm film since Kenneth Branagh's "Hamlet" in 1996. Most of "Samsara" has been filmed with Panavision's System 65. Toronto International Film Festival has announced the world-premiere on their web site, and hopefully that will create a lot of buzz for the fans of Ron Fricke and 70mm fans alike. "Baraka" also World-premiered in Canada at the Montreal World Film Festival, 30. August 1992. Magidson Film: "Samsara", "Baraka" and "Chronos"
"After 4 1/2 years in production it is indeed great to finally be able to get the film out into the world." Indeed, it has been a long wait for many, including the director Ron Fricke, who sent an outline of "Samsara" to in70mm.com/The 70mm Newsletter not long after the release of "Baraka" - nearly 20 years ago. 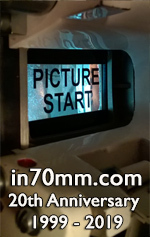 The 70mm fans will be probably be disappointed to learn that no 70mm prints have been planned - yet. The premiere in Canada will be a state-of-the-art high-end 4K digital presentation, with full uncompressed 6-track digital sound. "Samsara". Directed by By Ron Fricke. Language: English. Running time: 1:39 minutes. Format: DCP (D-Cinema). Producer: Mark Magidson. Production Company: Magidson Films, Inc. Screenplay: Ron Fricke, Mark Magidson. Cinematographer: Ron Fricke. 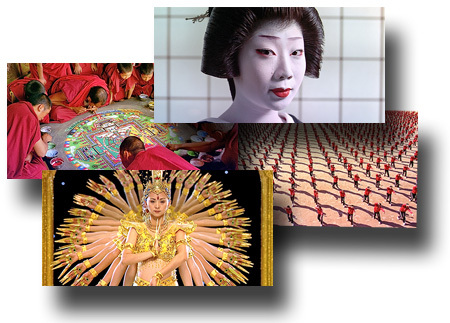 Music: Michael Stearns, Lisa Gerrard, Marcello de Francisci.